With height of 750 meters (! 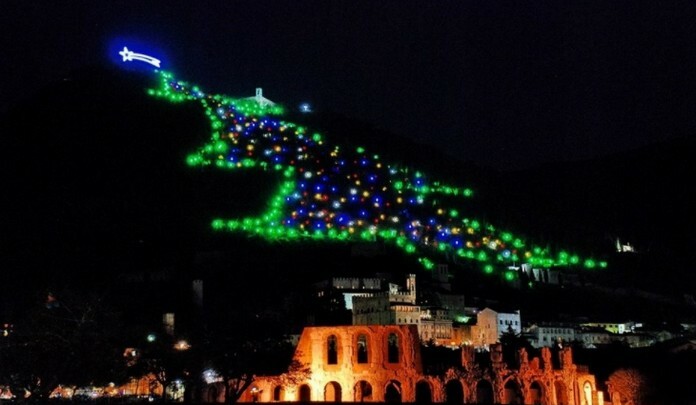 ), included in the Guinness Book of Records, sparkles every year in the Italian medieval town of Gubbio in Umbria region. 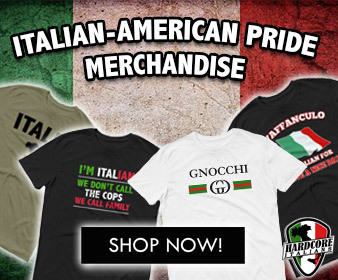 The main particularity of this Christmas tree is not only in its size. 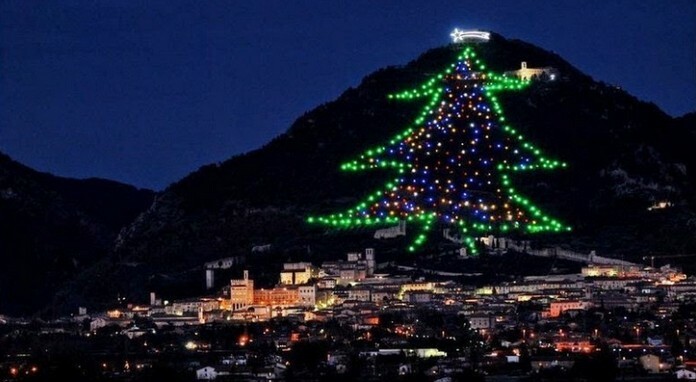 But also in the fact that it’s not just a tree, but the illumination, created of 1000 colorful lights, placed on the hillside of the mountain Ingino. 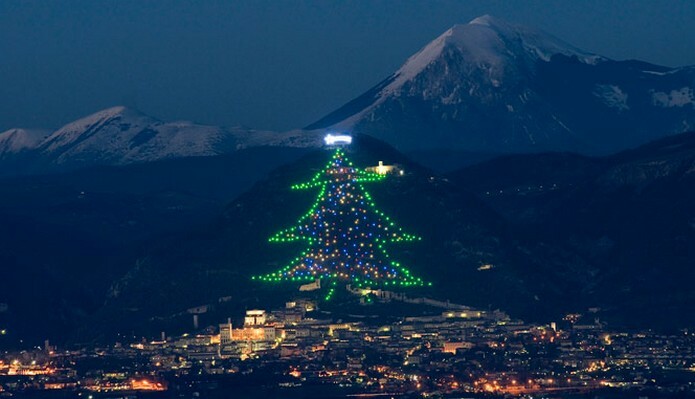 The Christmas Tree entered the Guinness Book of Records in 1991. It usually remains on during the entire Christmas period and is turned off after Epiphany. 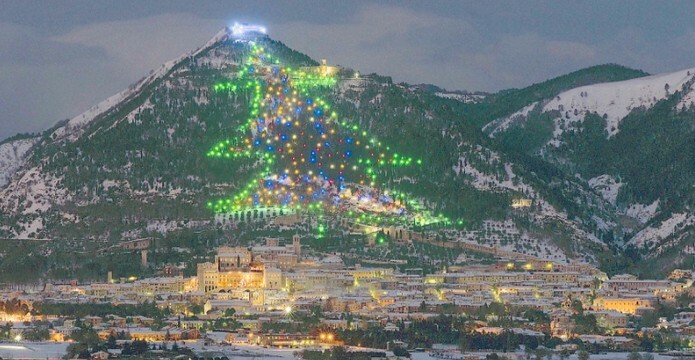 The Christmas Tree is formed by various types of lights that create an absolutely particular and unique chromatic effect: 300 green coloured lights outline the shape of a Christmas tree that is 650 meters high with the centre filled with 400 multi-colored lights. At the top of the tree, a star made of more than 250 lights.